ENG: This summer can’t be complete enough without kimono! Yeah, this traditional oriental item became a cosmopolite and moved to many closets. I like to wear it with white tank ton and denim ripped shorts. Have a lovely evening! RU: Без кимоно и лето не то! Да да да, традиционно восточный элемент одежды теперь живет практически во всех гардеробах модниц. У меня уже второе, и оно просто идеально дополняет любимое летнее сочетание белый топ+шорты. Всем хорошего воскресного вечера! Красочное и яркое кимоно приглянулось с первого взгляда! Фото идеальные! С нетерпеньем жду новых луков! Удачных выходных! Целую! That kimono is gorgeous! I love the look! Отличный стильный летный комплект и красивые солнечные фотографии! 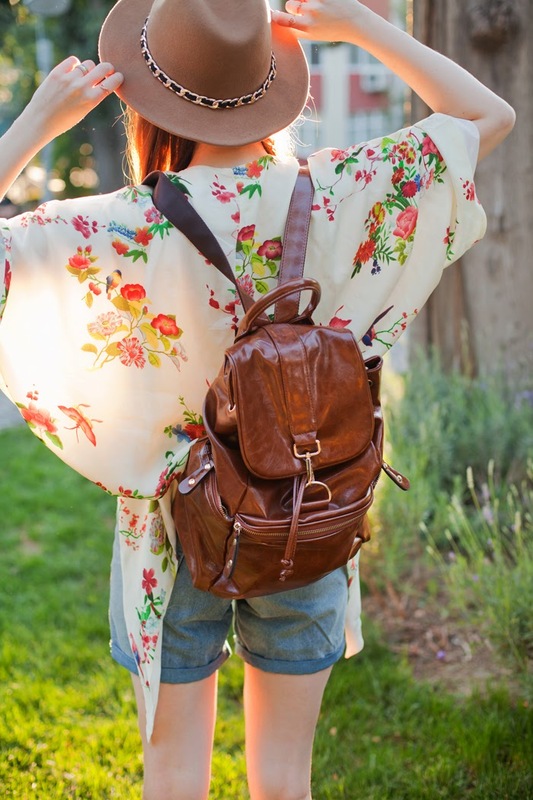 Gorgeous outfit, so pretty this kimono. Kimono is such an universal piece to pair with literally anything! I love the flowers and the flowy-ness of the piece! You continue to lock the hat look fantastically! You inspire me all the time :) Beautiful kimono and perfect hat! Чудесная, необычная и прекрасная как всегда! Gorgeous look! I love your hair super straight like this too! Awesome, I like that you took a simple outfit and made it special. 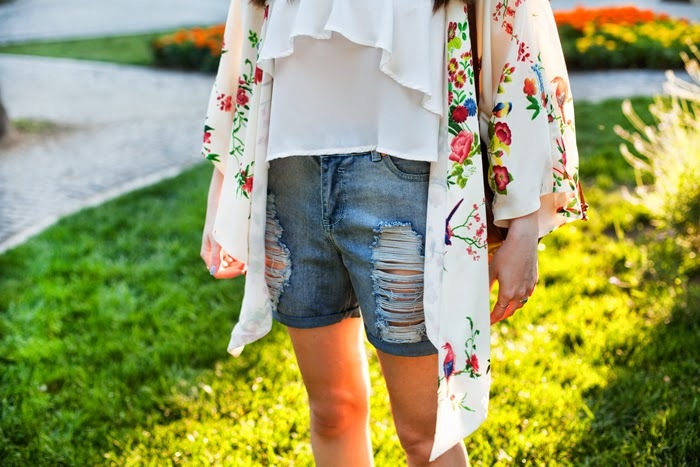 I love the White top and the relaxed shorts but definitely the kimono is soooo Smart and lovely, the flowers give color to your look in a very classic and stylish way, great choice! I love your style. You combine very well.